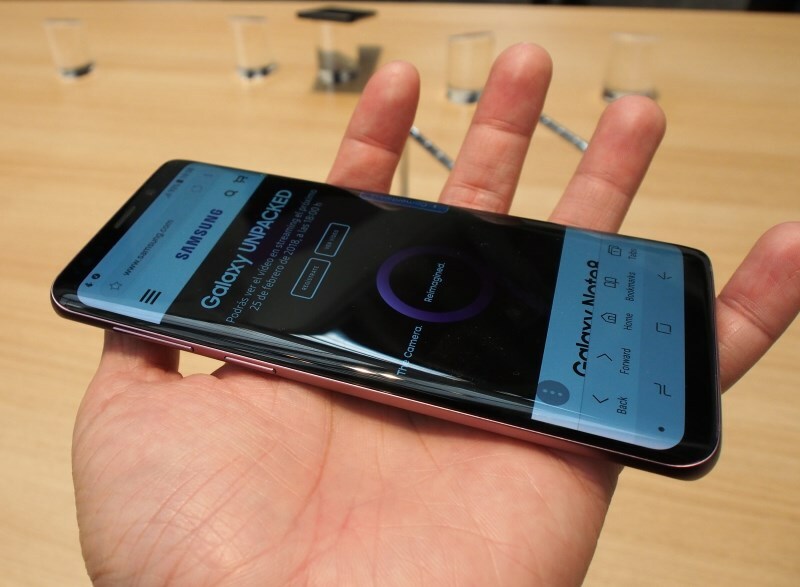 The Samsung Galaxy S9, finally unpacked! Two days before Mobile World Congress 2018 officially kicked off, I was already in Spain, being secreted to a closed-door preview of the Samsung Galaxy S9 at some back alley gallery in Barcelona, camera in one hand, non-disclosure agreement (NDA) in another. Not that there was any real need, considering the S9 has probably been one of the most-leaked smartphones yet. And yes, almost everything you've read about the device to date, is true. Of course, now that my NDA has expired, I can share actual first impressions of the Samsung Galaxy S9 and S9+, so let's get down to details. 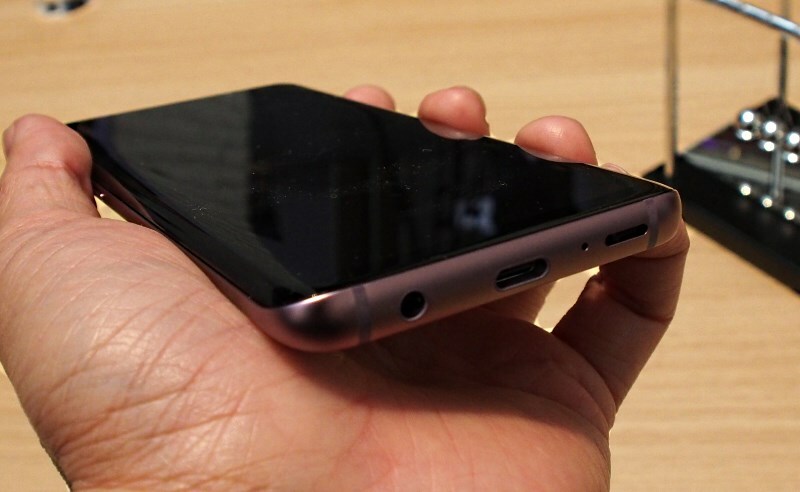 Design-wise, the S9 and S9+ look almost identical to the S8 and S8+, this is down to the antenna bars and all the side ports and buttons, including the 3.5mm headphone jack to the bottom. The phones now have stereo speakers with one at the bottom and one on top (the earpiece speaker). Not only are the speakers tuned by AKG, they also support Dolby Atmos surround sound imaging. Samsung claims the S9 to be 1.4x louder than the S8. From my limited testing, I can attest that it does seem louder and more importantly, clearer at loud volumes, but being in a large gallery makes everything sound echoey to me. 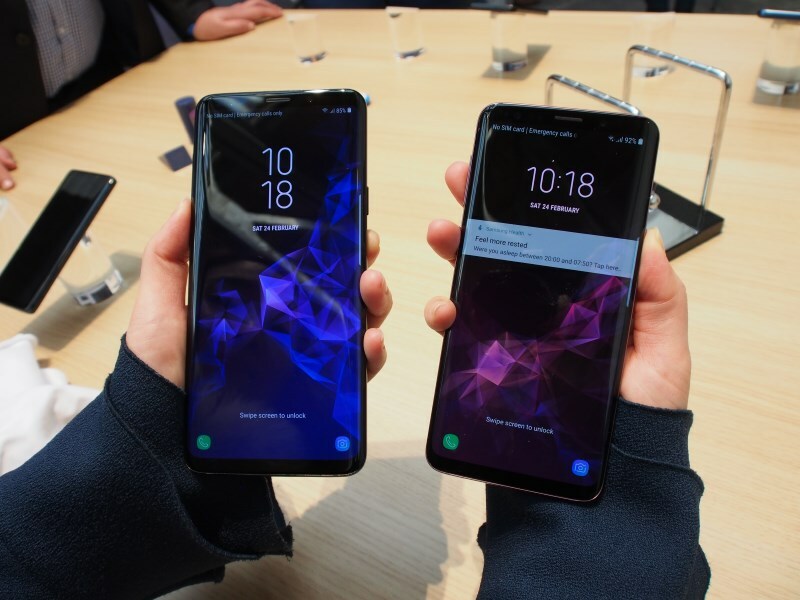 The displays on both S9 and S9+ are also identical to that of the S8 and S8+. It retains the Curved Super AMOLED screen with QHD resolution (2,960 x 1,440 pixels) at an 18:9:5 aspect ratio. The S9 will have an 5.8-inch display (570ppi), while the S9+ has a 6.2-inch display (529ppi). There doesn't seem to have been any improvements to the display technology, but there are some functional refinements. Firstly, the UI has been updated so you can finally use the phones properly in landscape mode. Secondly, messages can now come in on the Edge display, which allows you to do things like reply messages while watching a movie for example. 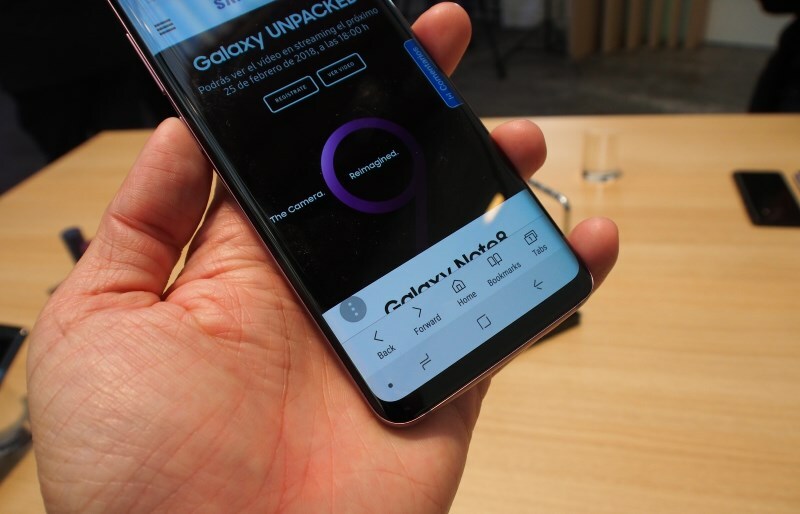 Unfortunately, the phone I was using during the preview had no connectivity, so there were some features I couldn't try out. 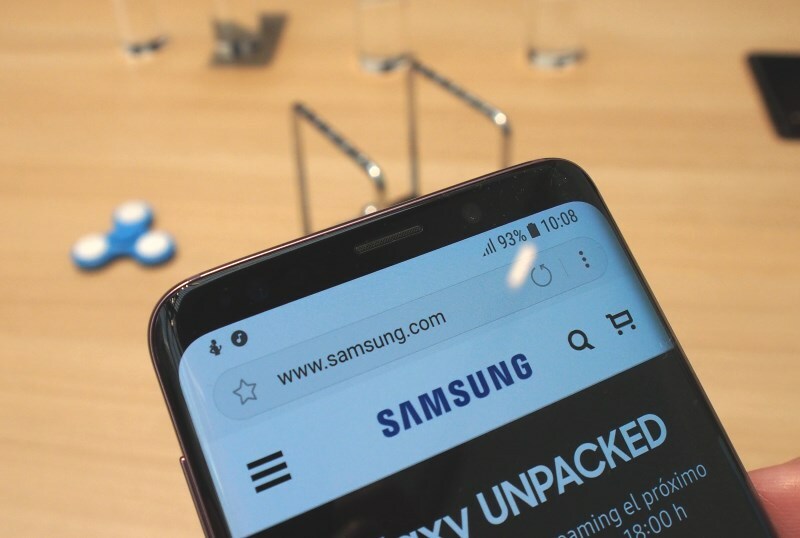 Lastly, Samsung has indicated that they've made the display (when turned off) darker, so it blends into the bezels even more as one monolithic black block. Speaking of bezels, both S9 and S9+ are every so slightly shorter then their predecessors, effectively reducing both top and bottom bezels when the display is lit, making the Infinity Display even more immersive than before. However, the cut in height wasn't without consequences, as both S9 and S9+ are slightly wider and thicker; they're heavier too as you can see in the quick comparison below. The back is smooth and polished to a shine. It is unsurprisingly a smudge magnet, and makes for a very difficult, reflective surface to photograph. Samsung has finally moved the fingerprint sensor below the camera though, which was a major sore point for the entire Galaxy 8-series. The fingerprint sensor seems to have been upgraded as well, as it was pointed out that the S9 and S9+ would only required 2-3 swipes to fully register a new fingerprint. The S9 will only feature one main rear camera, while the S9+ will come with dual rear cameras in a vertical setup. This marks a breakaway from the S8 and S8+, both of which featured only a single camera design. 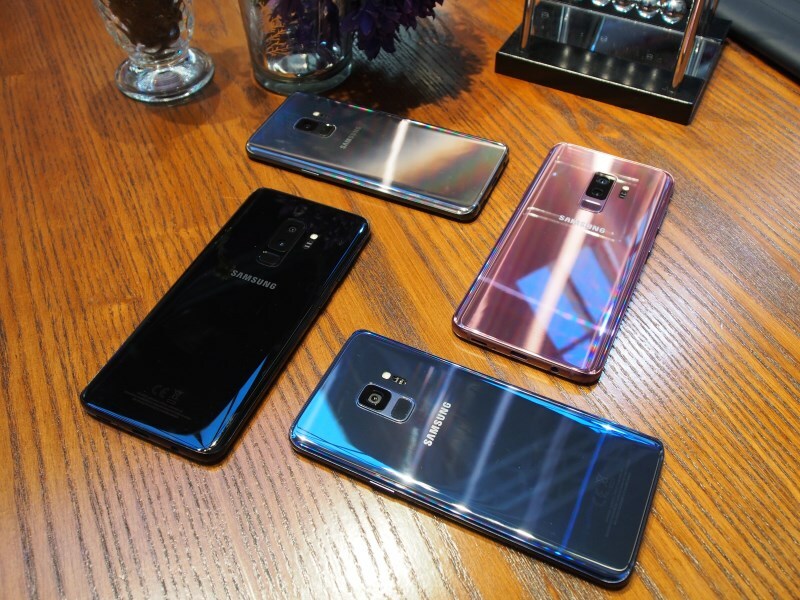 The S9 and S9+ will initially be available in four colors: Midnight Black, Coral Blue, Titanium Gray and a new hero color, Lilac Purple. Here's an interesting bit of trivia. The Lilac Purple color isn't just some random new color someone chose with a blindfold. 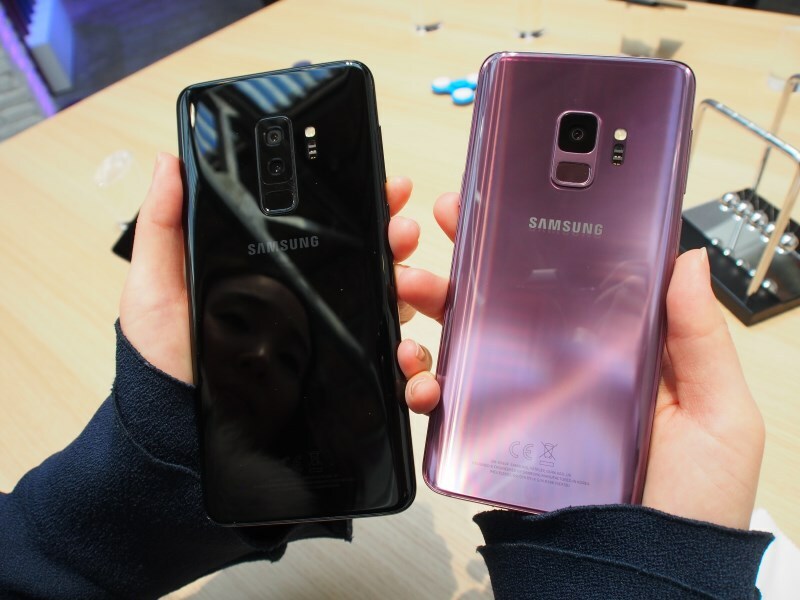 It was actually created in the spirit of Pantone's Color of the Year 2018 (Pantone 18-3838 Ultra Violet, if you must know the exact shade), which means the S9 could very well complement many of 2018's fashion and lifestyle trends. Nice one Samsung.